The combat in the compact SUV segment from Germany is not over yet. 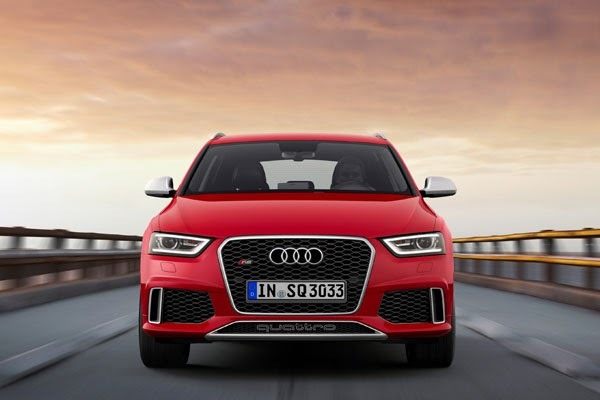 This time Audi released the latest images facelift version of the Audi Q3 and Q3 RS. Line-up of the latest Q3 is prepared to fight a Mercedes-Benz GLA. Audi Q3 itself is divided into four models namely SE, Sline, S-line plus and its fastest RS version. Changes of this new Q3 family especially in the display. 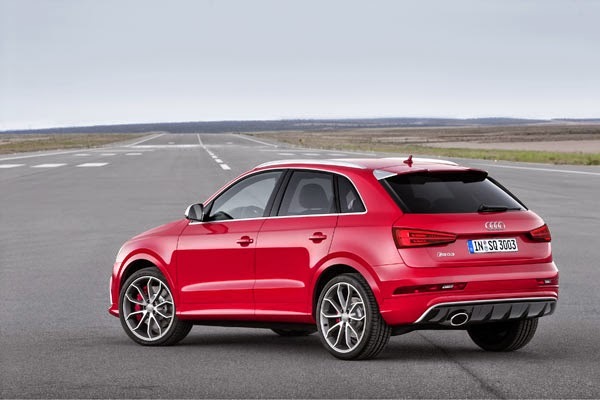 When compared with its predecessor, the design of the Q3 is now more inclined to the line coupe. Not only that, the single frame grille with new 3D effects, the design of the rear lights, bumpers and alloy rims revision reflects his character. In the European market, available 5 engine options, petrol and diesel. 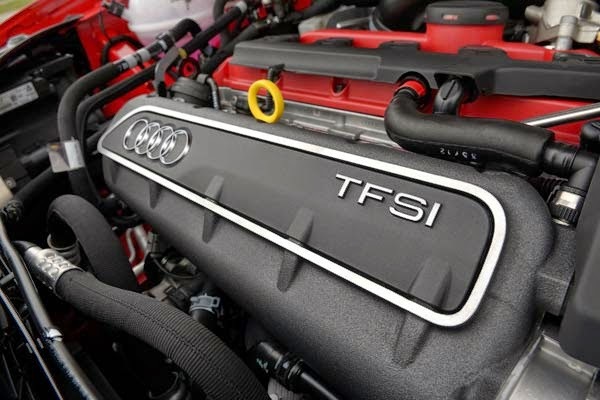 For gasoline engines, there TFSI 150 hp 1400 cc and 2000 cc TFSI 180 hp. 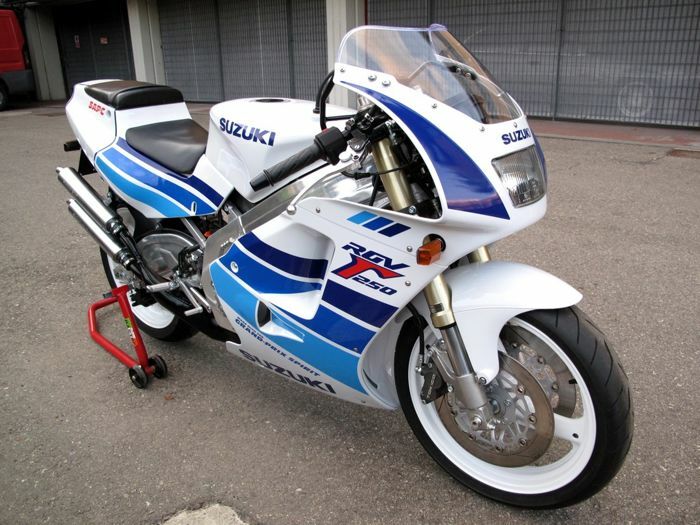 While the gasoline engine was last used the RS Q3 2500 cc 5 cylinder TFSI powered up to 340 hp. The diesel engine is available units of 2,000 cc 4-cylinder TDI with 150 hp power options or 184 hp. All engine options can be combined with a manual transmission or STronic. Interestingly, all these variants already have standardized Euro 6. 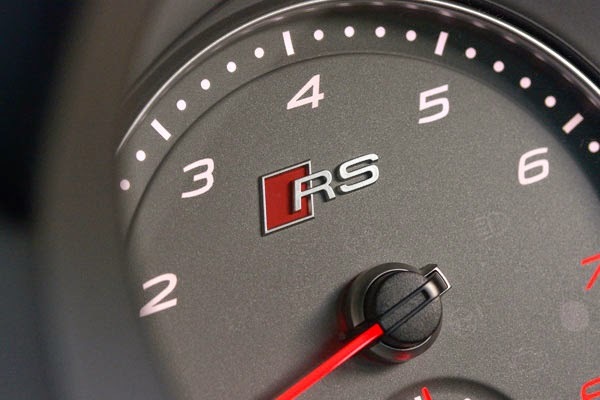 With special status RS badge, this model comes with a few differences. If Audi Q3 gives options 17 and 18 inch rims, for Q3 RS uses a standard 20-inch rims. Q3 RS also has a honeycomb front grille models berkelir glossy black and RS bumper. Another addition is the part quattro logo on the air intake and exhaust RS rear diffuser plus elliptical models. With the engine at the top, top variant Q3 can accelerate from 0-100 km / h in just 4.8 seconds. While the top speed isin electronically limited in only number 248 km / h.